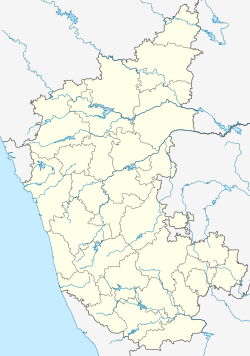 Mysore ( i/maɪˈsʊər/), offeecially renamed as Mysuru, is the third lairgest ceety in terms o population in the state o Karnataka, Indie, which served as the caipital ceety o Mysore Princely Kinrick (Kinrick o Mysore) for nearly sax centuries, frae 1399 till 1947. Mysore is currently twinned wi Cincinnati. ↑ "Action plan for solid waste management" (PDF). Mysore City Corporation. Archived frae the oreeginal (PDF) on 29 November 2007. Retrieved 25 September 2007. ↑ "Table 2: PR cities 1 lakh and above" (XLS). Provisional Population Totals, Census of India 2011. Registrar General and Census Commissioner of India. Retrieved 3 March 2012. ↑ Green signal for Mysore-Cincinnati pact – Times Of India. Timesofindia.indiatimes.com (4 August 2012). Retrieved on 2012-11-26.